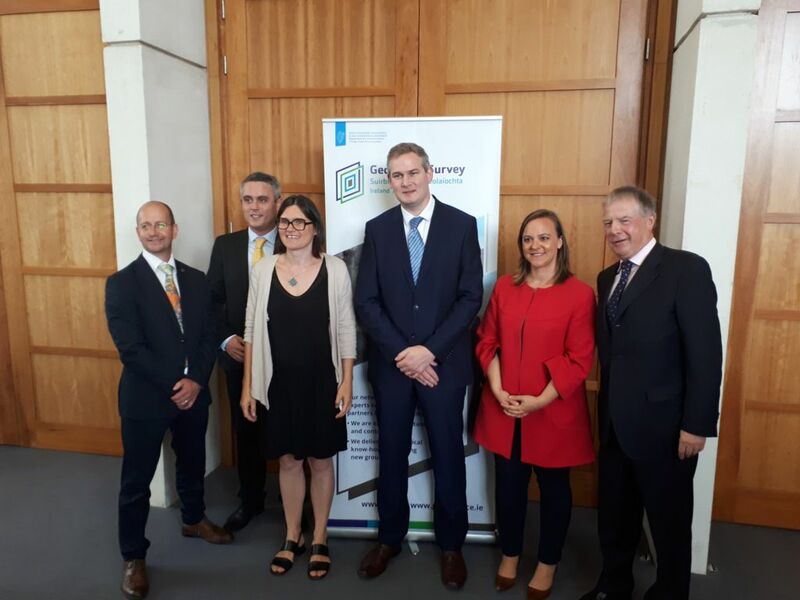 Minister for Natural Resources Sean Kyne TD was the keynote speaker at the Geoscience Ireland (GI) Conference held in the Irish Management Institute in Dublin yesterday July 6th. Minister Kyne outlined the development of GI since its inception in 2010 in response to the downturn in construction and infrastructure delivery in Ireland. The objective of GI is to assist its member companies in winning work in international markets and thus create high value sustainable jobs in professional geoscience and engineering services. GI hasgrown from 5 companies in 2012 to a network of 33 companies today. The Minister outlined how the GI initiative aligns with clustering policy in Ireland which has co-located clusters in the Financial Services, Bio-medical, ICT and Pharmaceutical sectors with new networks emerging in Agribusiness and the Marine arenas. The Industry & Innovation Conference heard presentations from the French Geoscience Cluster Pole Avenia and from Pau Chamber of Commerce. Pole Avenia is one of 70 national Competiveness Clusters (“Poles”) located in France; it brings together 180 companies (up from 50 in 2012) delivering expertise in oil & gas, geothermal energy and carbon storage and the Conference heard presentations from Ireland and France on these topics. Pole Avenia members include industry (110 SMEs, 6 lager companies), five third level institutes, 40 R&D enterprises, the Pau Chamber of Commerce, and local and regional administrations. 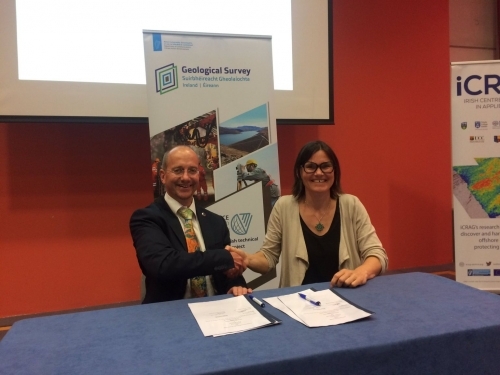 A Memorandum of Understanding between Pole Avenia and GI was signed at the Conference ; both are registered on the EU European Cluster Collaboration Platform. The importance of diversification of export efforts in the context of Brexit was outlined by Stephen Hughes of Enterprise Ireland. Minister Kyne, in the same context, pointed to the importance of an energy connector to France. 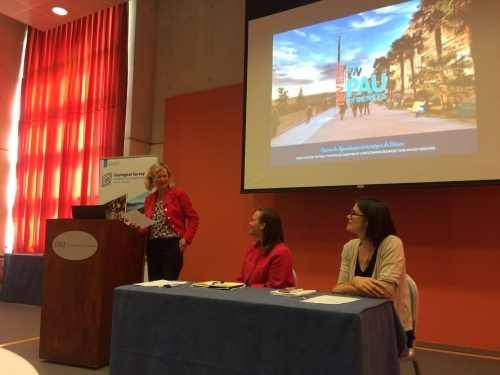 The Conference also heard presentations from GI’s newest members, ARUP, Lagan, ERM and Byrne Looby Energy. 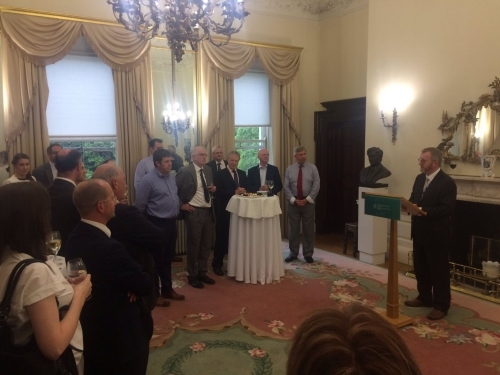 The Department of Foreign Affairs & Trade (DFAT) hosted a Reception for delegates which was addressed by Eamonn McKee, Director of DFA&T Trade Division and the recently appointed French Ambassador to Ireland, H.E. Stephane Crouzat.